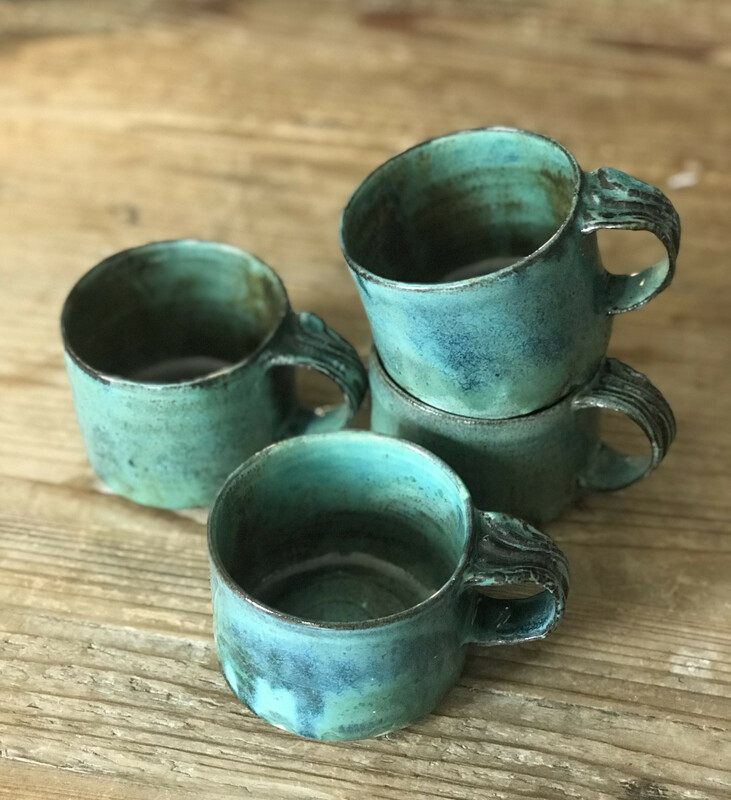 Hues of deep green creates a unique and beautiful handmade cup. It has a wonderful texture and makes a fabulous statement. Products are handmade, therefore slight variations may occur from image shown. Suitable for microwaves and dishwashers. 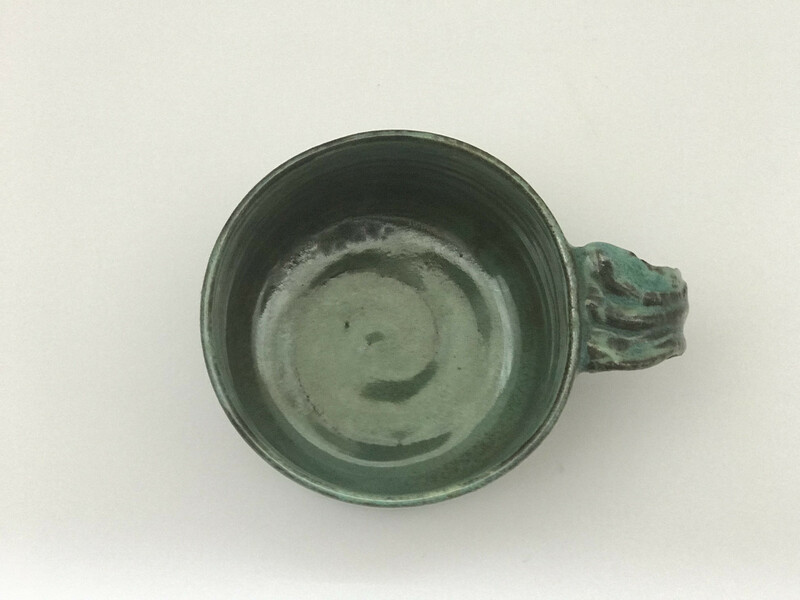 Please note that this piece is handmade and, as with all designer ceramics, small variations may occur from the image shown.